GALLIPOLIS — As spring approaches, Gallipolis in Bloom is seeking new leadership for the coming growing season. According to Gallipolis in Bloom President Bev Dunkle, she is considering retirement in the coming years and is ready to step down as the chairperson of GIB efforts in the America in Bloom competition. To partake in the annual AIB competition GIB has been part of the last 12 years, paperwork must be submitted by February. Dunkle has been the president of the nonprofit organization since the late 2000s. According to Dunkle, the chairperson is the individual who makes certain the organization makes all of its deadlines for the America in Bloom competition. Dunkle has decided she is done being a chairperson and wishes to focus on other personal endeavors, but will continue on with GIB in a lesser role. She asks another to carry the torch. 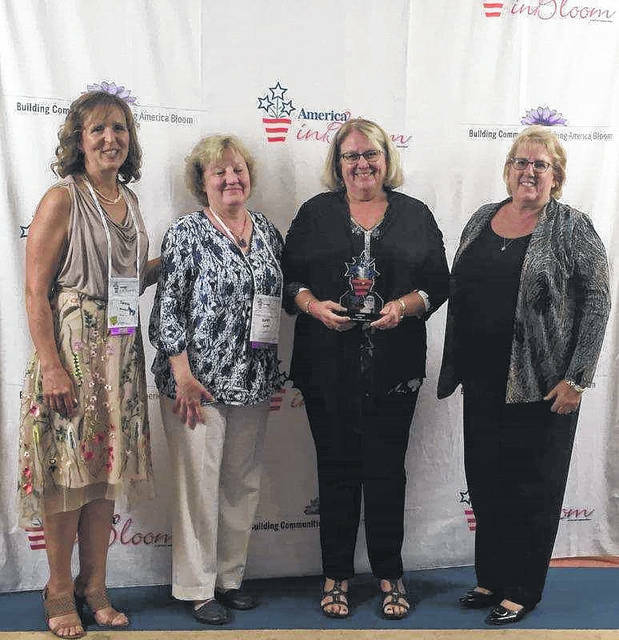 GIB has taken home many awards over the years as part of its returning participation in America in Bloom. Because of its continued success, it competes in the Circle of Champions, a category reserved for successful returning communities. Of 39 other competing cities in the U.S., GIB has walked home as champs twice over the last two years in its population category. The group also had special nominations in Best Floral Displays, even against settlements with far larger populations. GIB also had a special nomination in Best Program for Engaging Children in past years. America in Bloom is an organization based out of Columbus, Ohio, that encourages beautification of towns nationally. It is also part of Communities in Bloom, an international organization. Canaday emphasized the importance of the AIB competition and how it had effected the reputation of Gallipolis. For those interested in partaking in the coming GIB season, they are encouraged to contact Dunkle at the Gallipolis Justice Center or Canaday at the Gallipolis Municipal Building.